Customer service can make or break a business. Thankfully, even if your own isn’t quite up to par, you can improve it with a little dedication and a willingness to make the right changes. 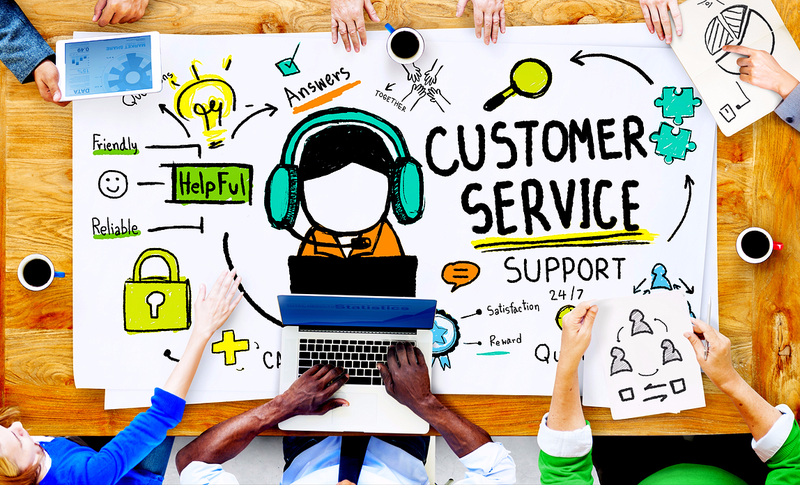 Here are just a few tips for better customer service! No one wants to feel like they’re talking to a robot instead of a human being. While it’s fine to give talking points and suggested scripts to your employees, don’t force them to conform. Let them answer questions and resolve conflicts with a certain amount of autonomy. If you don’t trust them to handle customers without line-by-line dialogue from a company handbook, you don’t trust them at all. In the same vein as the above, if you’re worried about the performance of your customer service agents, the easiest solution is to train or re-train them. Teach them how to deal with the most common customer complaints, and walk them through role-playing scenarios with angry or upset callers. Don’t let them interact with legitimate customers until you’re confident in their ability to handle it. Some people hate talking on the phone. Others don’t have the web connectivity to use live chats or social media. The best customer service departments have multiple ways for people to get in contact with their business, so don’t be afraid to open up several different lines of communication. Let your customers choose how they’d like to interact with you. Last but certainly not least, always listen to the feedback that customers are giving you. Don’t discount their ideas, suggestions and criticisms just because they don’t fit with your own idea of your business. If your customers are rioting about your new refund policy, it’s time to scrap it. These are just a few ways to improve customer experience with your business. There are many more, of course, so don’t feel like you have to use the ideas listed here. Think of them as a springboard for your own inspiration.